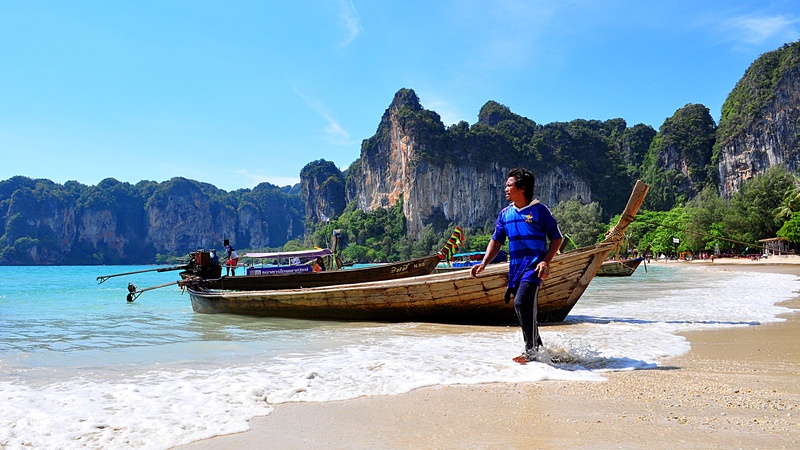 The town of Krabi is equally loved by the active adventurer and the beach lounger. Limestone cliffs with perfect pockets and overhangs are a favorite of many climbers, while the beautiful beaches offer relaxation and a view for those who choose not to deep sea dive among the region's coral reefs. The beaches of Krabi have a lot to offer. Check out the unique peninsula of Railay - climb one of the limestone cliffs that line the beach, swim in the turquoise water, or even book yourself a bungalow! Scenic Railay Beach is best accessed by boat. See Krabi from a bird's eye view by climbing the steps of the Tiger Cave Temple to the top where a giant statue of Buddha in gold awaits you. Revel in the joy that you've just climbed over a thousand steps to reach this picturesque view of beautiful Krabi. 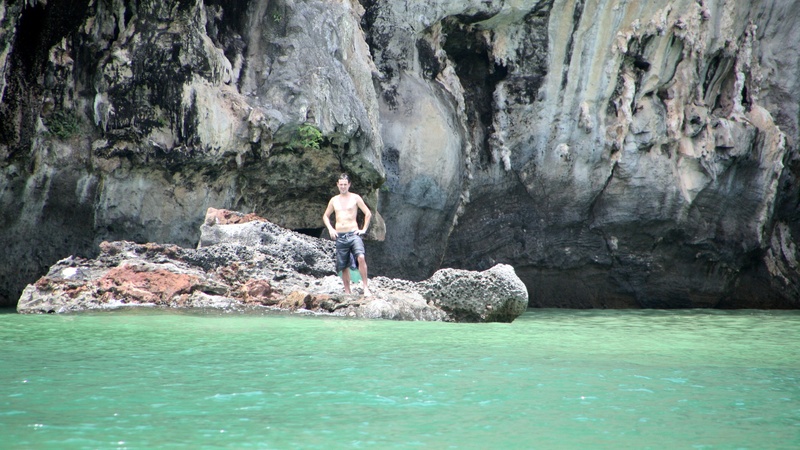 Ko Poda is one of four islands in an archipelago and when the tide is low enough you can walk among all four islands. The crystal clear waters and secluded beachfronts of Ko Poda might entice you into relaxing and enjoying this special island. 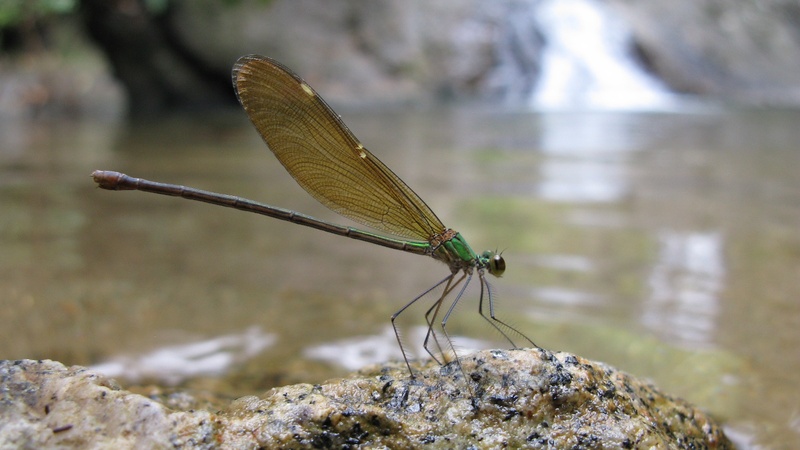 The national park of Khao Phanom Bencha is known for its waterfalls, virgin rainforest, and rare wildlife. Sample nature at one of the highest points in the area: the park's peak is at an impressive elevation of nearly 1,500 meters. 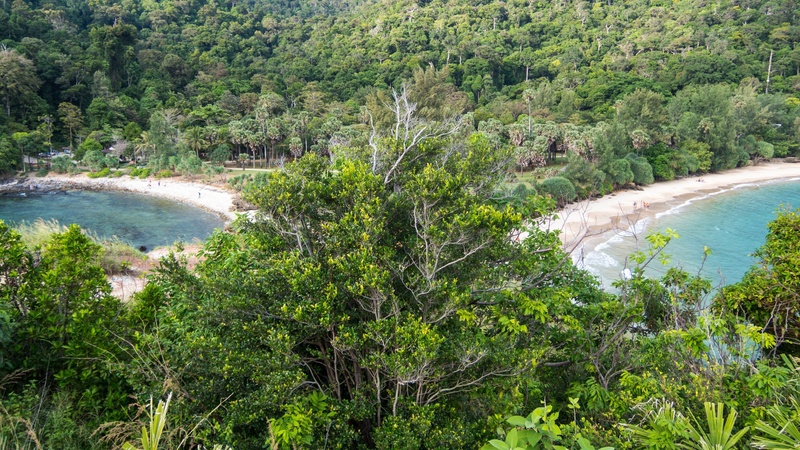 This island is part of the Ko Lanta archipelago and well suited for those who want the simple pleasures. The most common accommodation in Ko Lanta Yai offered is in the form of a bamboo hut. 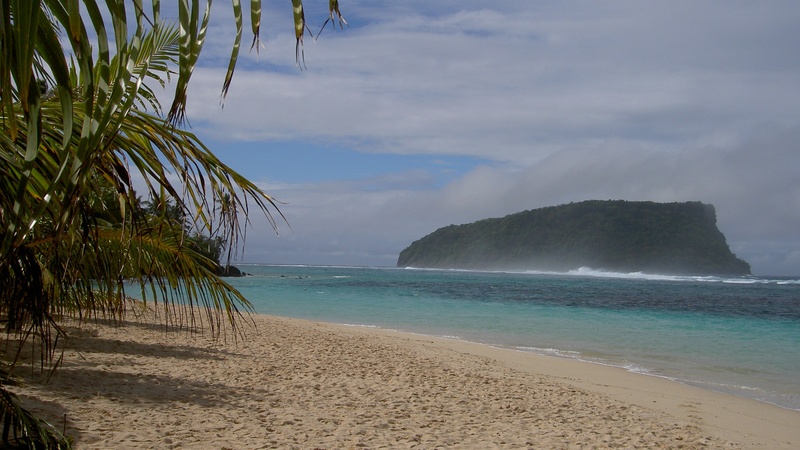 The island is serviced by ferries and offers a refuge from overcrowded tourist resorts. 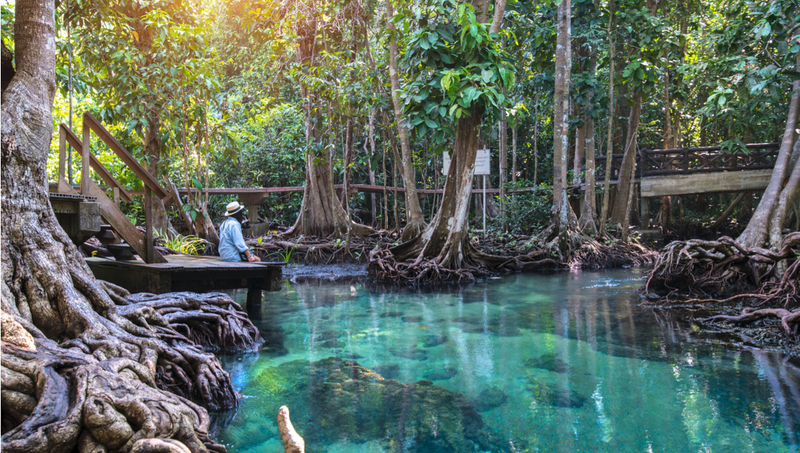 Located in Khao Pra-Bang Kram Wildlife Sanctuary, Emerald Pool is surrounded by forest that is filled with rare birds. Follow the nature trails through the forest and arrive at the Emerald Pool, where you can relax and swim in this natural mineral water pond. Local fishermen's legends say the home of the mythic sea princess is in Pranang Cave. As you stroll away from mainland Railay Beach towards the cave, take a moment to enjoy the surroundings mythical royalty favor. The weather in Krabi is best from late January to May: you'll find warm days and clear skies. If you between May and November, chances are high that your plans may get monsoon'd out. The weather tends to be hottest in April and rainy for the rest of the summer. January in Krabi is probably the best month to visit - the days are warm, the nights are cool and there is barely any rain. Ko Poda is a great island for fulfilling anyone's desires at once. Whether you want to stay in a five star bungalow or you're more into the backpacking style of travel, there's a place for you on the island of Ko Poda. Ferries, boats, taxis, and even motorcycle taxis and river taxis are great means of getting around Krabi. Fares are quite reasonable and transportation is available year round. Late January to May the weather is perfect and you'll avoid the monsoon season and peak season supplements some hotels charge around Christmas and New Years Eve. 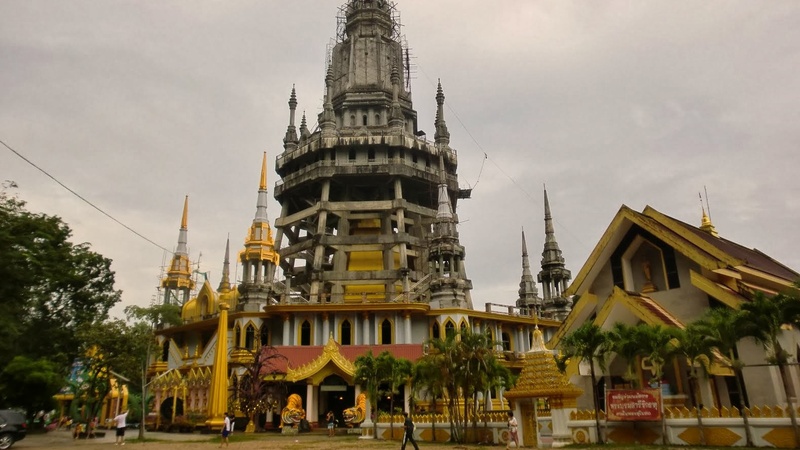 Want to discover all there is to do in Krabi? Click here for a full list. Very well organised, very comfortable boat. Very nice staff. We were pampered the entire trip. Good food , nice visits of Hong Island and James Bond Island. Very beautiful . Amazing!! Wondeful!! Service outstanding!! Must do!! Must see! !